A DYNAMIC DRIVE - WITH NO COMPROMISE The Mazda CX-5 encompasses the ideal balance of driving pleasure, ingenuity and efficiency. Room for everything - except compromise Designed around the driver, to offer exceptional levels of comfort and control, the interior of the Mazda CX-5 is spacious and inviting. 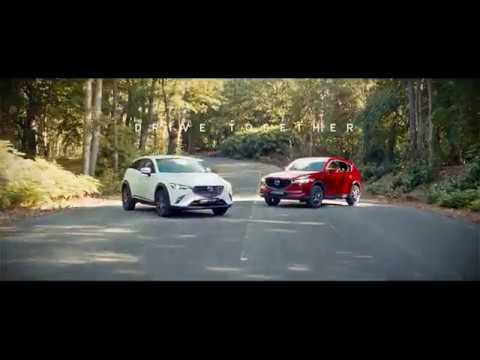 The 2019 Mazda CX-5 balances exceptional sports car inspired styling and design with a sleek, aerodynamic performance. It challenges convention by combining outstanding efficiency with driving excitement. It's an SUV, but not as you know it. The flowing lines and sculpted body provides a striking and distinctive appearance, while beneath the surface a full array of SKYACTIV Technology delivers responsive performance, outstanding fuel economy and low CO2 emissions. The Mazda CX-5, for drivers who don't believe in compromise. As a mid-size SUV, Mazda CX-5 is built with visual hints to both sports car agility and SUV confidence. It’s crafted using Mazda’s exciting and innovative design language– KODO: Soul of Motion – resulting in smooth and flowing lines that show the vehicle’s power in a subtle yet striking way. Awaken the Driver in You Through stunning KODO: Soul of Motion design, Mazda CX-5’s styling creates an exciting impression of agile acceleration and speed. An elegant form combined with the strength you would expect from an SUV, the designers added refined toughness to the bold, premium-looking exterior. Its strength is evident in the purposeful, muscular silhouette. And the marriage of gentle curves and edges is the perfect embodiment of Jinba Ittai. It's all about the driver The feeling of togetherness symbolised by Jinba Ittai runs even deeper inside. After all, it is behind the wheel where true connection lies. A seat designed around you. Surfaces that invite touch through quality, tactile materials and finishes expressing the fine craftsmanship and attention to each and every detail. But design never sacrifices purpose. Intuitive, ergonomic composition puts the Mazda CX-5’s technology and functionality at your fingertips. SKYACTIV Technology Designed and built with our innovative SKYACTIV Technology, delivering outstanding fuel consumption and low CO2 emissions without compromising on driving fun, connection is at the heart of the 2019 Mazda CX-5. We’ve also enhanced ride comfort and handling with an improved chassis and our new G-Vectoring Control system, that improves handling and steering for a more connected drive. Mazda Radar Cruise Control is an adaptive cruise control system. To activate, the driver sets a maximum speed (just as with cruise control) and size of gap to maintain. The radar then watches for traffic ahead, and once the system senses a vehicle in front, the car will slow down and speed up automatically, maintaining the drivers pre-set distance. Advanced Smart City Brake Support Designed to help avoid or minimise the effects of collisions at speeds up to approximately 50mph. The forward-facing camera and laser-based system continually monitors the gap and closing speed of the vehicle in front, and applies the brake if a collision is likely. Traffic Sign Recognition Our Traffic Sign Recognition has a forward sensing camera that detects speed limits and no entry signs which are then projected on the windscreen via the colour Active Driving Display. Power Liftgate Automatically open and close the boot with the handy power liftgate functionality. You can easily open from inside the car, with the button on your smart key or directly via a button on the boot itself. There's a sensor that will stop the boot moving if anything gets in the way. Premium Bose® Sound System The sensational Bose® sound system was specifically designed for CX-5, with 10 precisely positioned speakers that create clear, harmonic sound to keep you entertained as you drive. *Standard on GT Sport Nav+ models, or part of the optional Safety Pack available on Sport Nav+ models at additional cost.